If you have children and/or pets, it’s inevitable: your carpet will undergo some wear and tear. When you’re building or buying a new house or just replacing your carpet, there are some things you want to take into account while picking a new carpet. 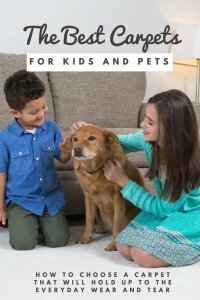 Here are our best tips for choosing a carpet that will hold up to the demands that kids and pets place on it. Synthetic fibers tend to hold up better than organic fiber carpets, which makes them a great choice for families with kids and pets. One such synthetic choice is nylon, a high resistant carpet choice, and a great one for homes that have toddlers, pets, and teenagers stomping on it regularly. Nylon carpets are very sturdy, as the synthetic fibers hold their shape well, especially in comparison to other materials. While nylon may be a bit higher in cost than other fibers, it offers a longer lasting color—even in high traffic homes. This makes it a good investment for busy families who are constantly running around. Polyester fabric is another great choice, especially for young kids. This is because it’s stain resistant and has a softness that other carpets don’t have. It holds up well for busy families that want the comfort (and protection) of very soft carpet, without sacrificing quality. If stains are a concern, either because of young children or pets that have accidents, go with polyester. You might not know it, but the color of your carpet makes a huge difference in how long your carpet will last. This is because certain colors of carpets hide stains better, meaning that you can keep a carpet for longer even if you have a lot of stains. Choose a medium colored carpet that will hide dark stains as well as light ones. Dark carpets will show dust, flour, and any other light things, and light carpet will show dirt and other darker stains. It also helps if you choose a carpet with a speckled pattern so that small stains will blend in. No matter what type of carpet you choose, make sure that you protect it properly. Many carpets come with a factory-applied protectant, so be sure to check. Even if your carpet does have a carpet protectant, be sure to get protectant reapplied regularly. This will help keep your carpet from staining and make it easier to clean up any spills that happen. If you do happen to stain your carpet, don’t stress. 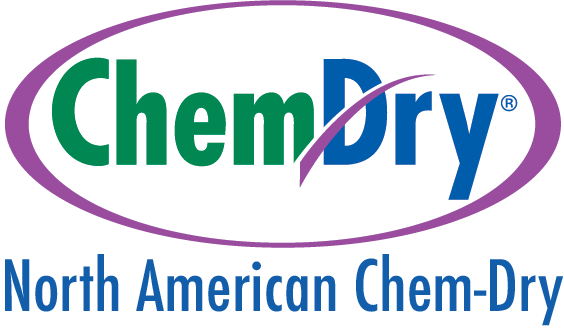 Just call the carpet cleaning pros at North American Chem-Dry. We get your carpets cleaner, drier, and healthier than the other cleaners. This means your carpets will stay cleaner for longer and keeps your carpets lasting longer.